Mr. Hines joined the firm as a partner in 2003. He was formerly the managing principal of a regional law firm’s District of Columbia and Virginia offices. Mr. Hines is licensed in Maryland, the District of Columbia and Virginia, and has represented clients in trials and appeals in all three jurisdictions. His areas of practice include professional malpractice, toxic tort and environmental litigation, pharmaceutical litigation, product liability, and commercial, securities and employee litigation. Professional Liability. Mr. Hines defends attorneys, health care providers, realtors, clergy, social workers and other professionals in malpractice claims brought in Maryland, Virginia and the District of Columbia. In 2011, Mr. Hines successfully tried a legal malpractice claim before a jury in the Circuit Court for Montgomery County. That same year, Mr. Hines also tried a will caveat case in the Orphans' Court for Prince George's County, Maryland. In 2008, Mr. Hines successfully tried a will construction case in the Circuit Court for Montgomery County. 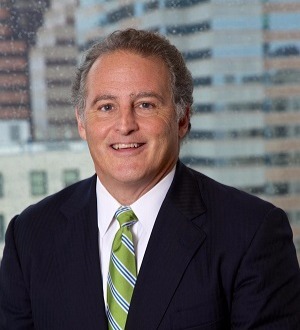 In 2005, he convinced a federal judge in the United States District Court for the Eastern District of Virginia to apply Virginia law regarding the non-assignability of legal malpractice claims, substantially reducing an insurance company’s claims against its panel counsel. In 2004, Mr. Hines obtained a defense verdict in Maryland for an accountant who allegedly provided improper tax advice. In December 2003, Mr. Hines successfully tried a wrongful adoption matter involving allegations of child trafficking and brain damage in the Circuit Court for Montgomery County. Mr. Hines was able to strike plaintiff’s expert neuropsychologist for basing his opinion on unreliable data. At his prior firm, Mr. Hines obtained a defense verdict after a three-week jury trial in a sexual abuse case brought against a psychologist in the Circuit Court for Fairfax County. In addition, Mr. Hines obtained a defense verdict in a multi-million dollar case against an attorney brought in the Superior Court of the District of Columbia. Mr. Hines has also defended attorneys and health care providers in matters before disciplinary boards. As a service to his clients, Mr. Hines provides in-house educational seminars to professionals to assist them in avoiding claims. Pharmaceutical and Medical Device Litigation. Mr. Hines represented AstraZeneca in the Seroquel and the pain pump litigations. Mr. Hines currently represents Pfizer Inc in the Neurontin and Hormone Replacement Therapy litigations and in defending consumer product claims. Mr. Hines was part of the national team representing Wyeth in fen-phen litigation. At his prior firm, Mr. Hines handled a variety of product liability claims involving products ranging from contact lenses to light industrial lifts. Mr. Hines also was Scottsdale Insurance Company’s national coverage counsel for claims arising out of the national firearms product liability litigation. Toxic Tort and Environmental Litigation. Mr. Hines is the national counsel coordinating a major sand supplier’s national defense of silicosis claims. In that capacity, he oversees expert development, conducts training seminars for defense counsel, coordinates discovery, directs settlement negotiations, and participates on trial teams. Mr. Hines is currently defending broker-dealers in cases filed with the FINRA. In that capacity, Mr. Hines prepares responses to the FINRA’s Enforcement Department and defends broker-dealers and registered representatives in Rule 8210 examinations and in customer-initiated arbitrations. Mr. Hines frequently lectures on FINRA issues including the potential impact of FINRA's New Suitability Rule. Commercial and Business Tort Litigation. In 2010, Mr. Hines tried a multi-million dollar case in the United States Bankruptcy Court for the District of Delaware. In 2009, Mr. Hines tried a three-week case in the United States Bankruptcy Court for the Eastern District of Virginia arising out of the sale of an Alabama radio station. For over 10 years, Mr. Hines was national counsel for Parents Without Partners, Inc., the largest single-parent organization in the world whose members at one time exceeded 250,000. In his capacity as national counsel, Mr. Hines attended all Board of Director meetings and served on the executive committee. Mr. Hines handled employment claims, prepared all corporate filings, dealt directly with the Internal Revenue Service on 501(c)(3) issues, advised the Board as to its duties and responsibilities, and prepared or reviewed all contracts. Mr. Hines also lectured throughout the United States at local chapters regarding their legal and ethical obligations, and assisted local counsel in the defense of claims filed against the corporation. Mr. Hines also represents corporations regarding compliance with ethical obligations.